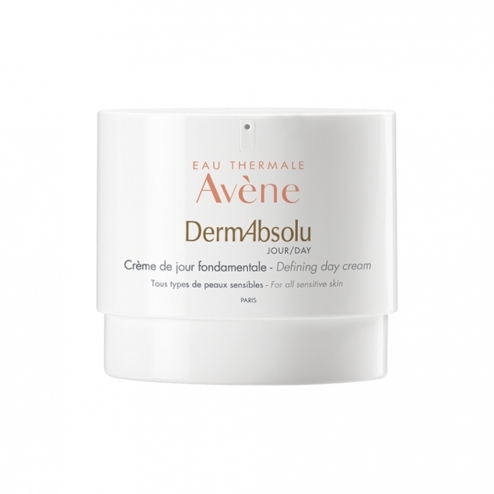 A cream with a velvety texture that redensifies the skin and visibly redraws the oval of the face for a luminous skin, plump and full of vitality. "Or" With its velvety texture, the skin is redensified, plump, regenerated and full of vitality. Presence of mother-of-pearl to illuminate the face. INCI Formula: Avene Thermal Spring Water (Avene Aqua) Pentaerythrityl Tracaprylate / Tetracaprate Glycerin Coco-Caprylate / Caprate Tribehenin Peg-20 Esters Butyrospermum Parkii (Shea) Butter (Butyrospermum Parkii Butter) Methyl Gluceth-20 Dimethicone Glyceryl Linoleate Bakuchiol Behenyl Alcohol Bis-Peg -12 Dimethicone Beeswax Polymethyl Methacrylate Simmondsia Chinensis (Jojoba) Seed Oil (Simmondsia Chinensis Seed Oil) Behenic Acid Benzoic Acid Caprylic / Capric Triglyceride Caprylyl Glycol Dimethicone Crosspolymer Disodium Edta Fragrance (Fragrance) Glyceryl Linolenate Glyceryl Oleate Glyceryl Palmitate Glyceryl Stearate Glycine Soybean Oil (Glycine Soja Oil) Helianthus Annuus (Sunflower) Seed Oil (Helianthus Annuus Seed Oil) Hydrogenated Polyisobutene Hydrogenated Starch Hydrolysate Hydroxyethyl Acrylate / Sodium Acryloyldimethyl Taurate Copolymer Mica Peg-7 Trimethylolpropane Coconut Ether Propylene Glycol Silica Sodium Hydroxide Sodium Stearoyl Glutamate Sorbitan Isostearate Titanium Dioxide (Ci 77891) Tocopherol Tocopheryl Glucoside Tribehenin Vanilla Tahitensis Fruit Extract Water (Aqua).